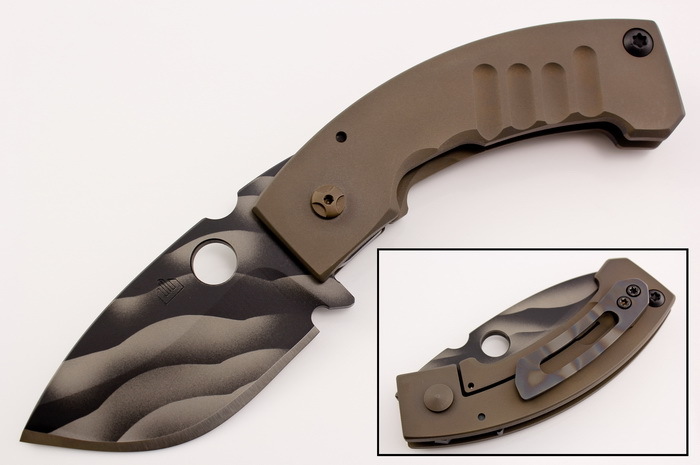 Donated by Arizona Custom Knives, this Apex XL folder from Crusader Forge features a 3.5-inch CPM S30V blade with thumbhole and KG 2401 F 3D blade finish. The handle scales are crafted from GR38 titanium slabs that have a matching finished to the blade. Tip up titanium clip with flame finish. Everything about the Apex XL is over sized and built like a tank.